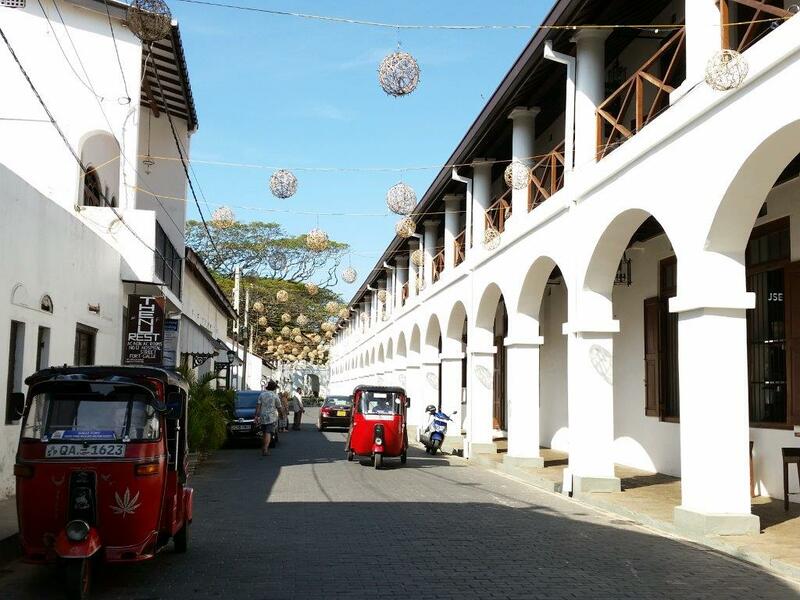 The UNESCO World Heritage Site of Galle, on the south west coast of Sri Lanka, sure is a charming place to visit. 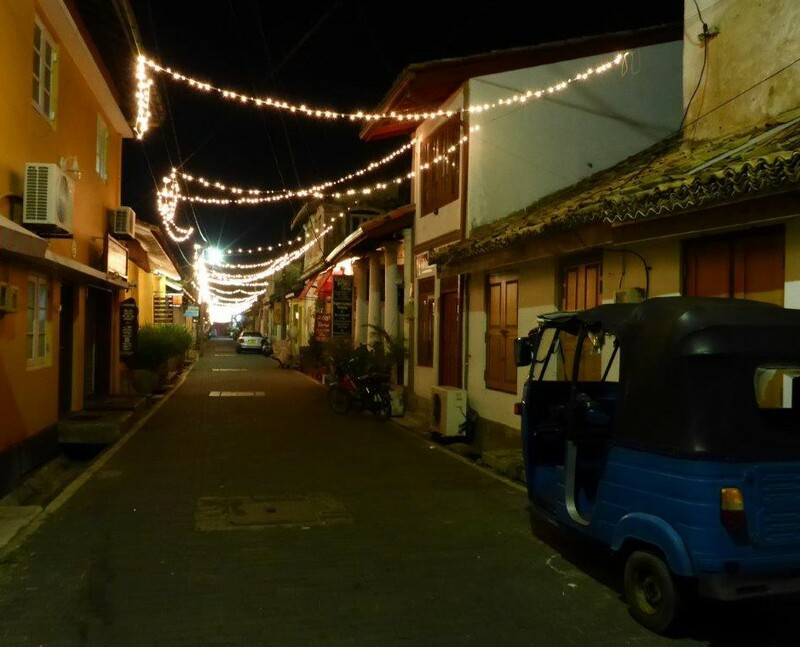 The city within the fort is set up by low-rise buildings along cute narrow streets. 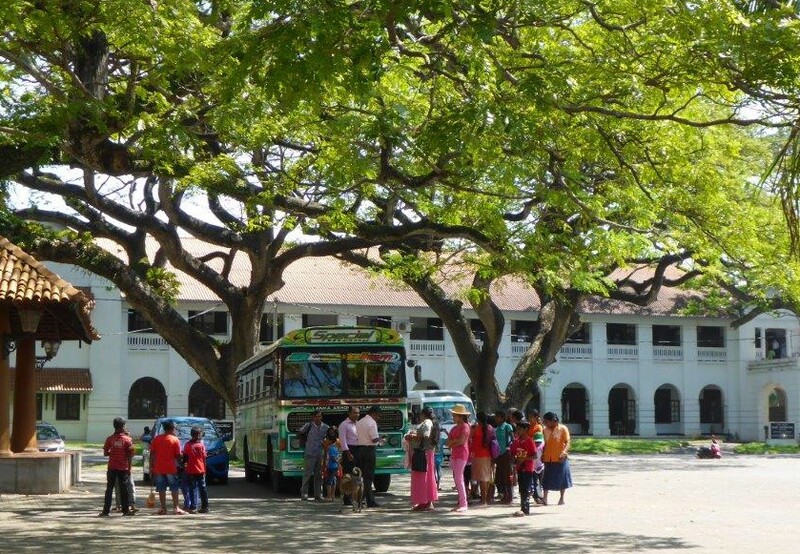 Arriving from Colombo by bus, we walked from the bus/train station to the fortified part of the city. 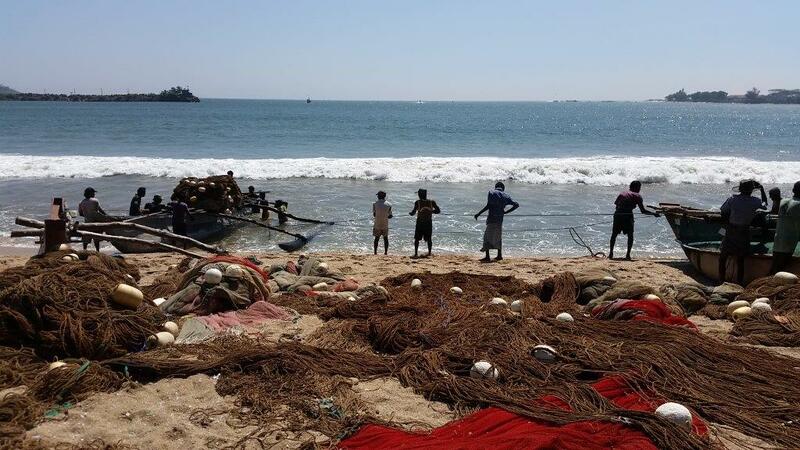 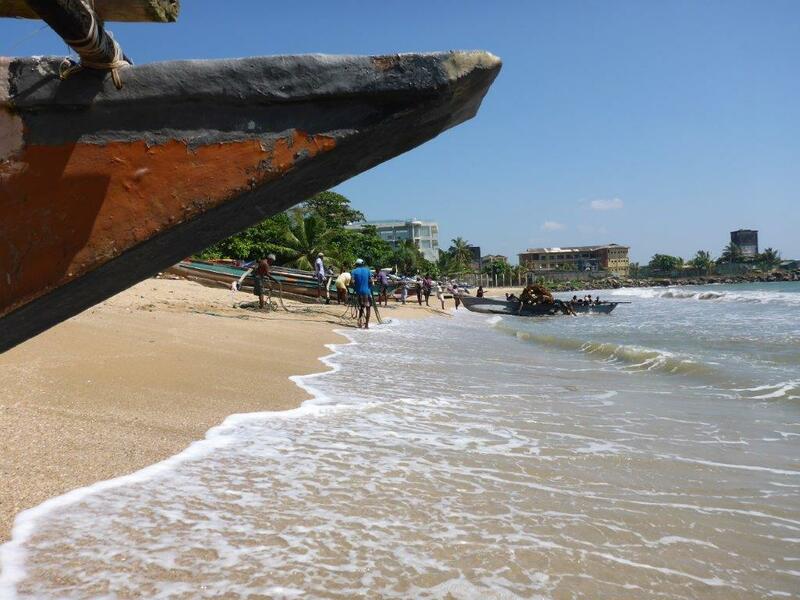 Passing by a group of fishermen selling today’s catch on the beach, with their fishing boats as a charming backdrop. 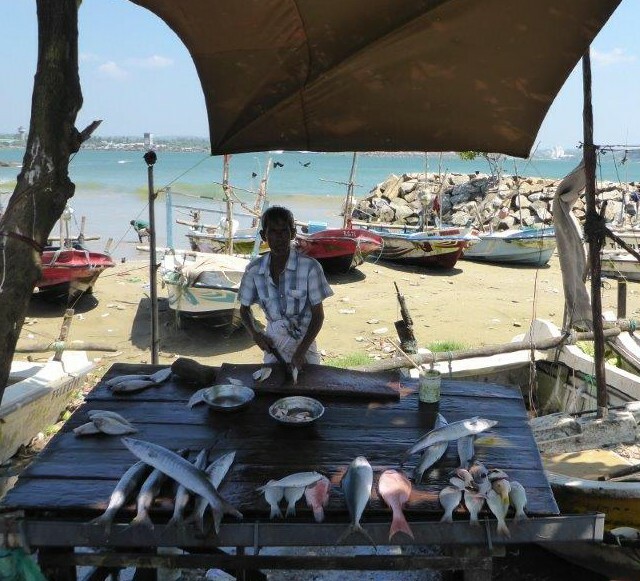 Fisherman selling his fish outside the walls of Galle Fort. 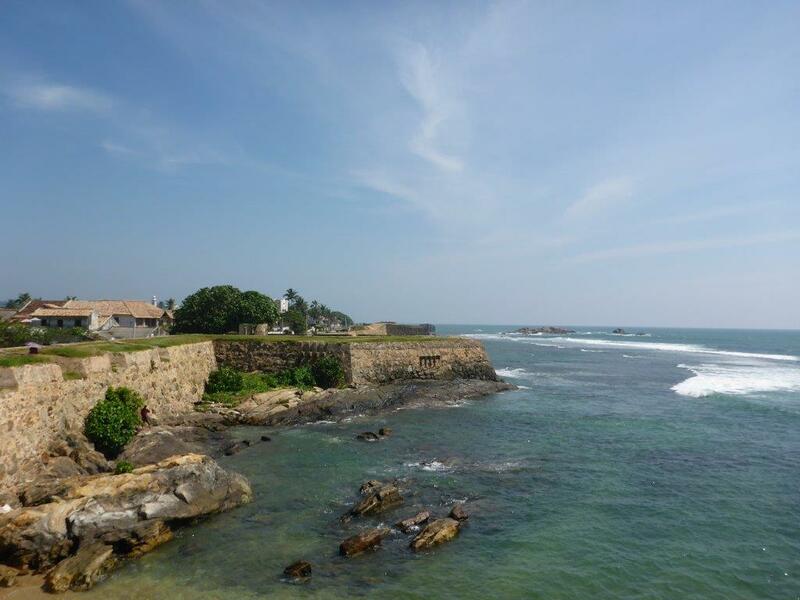 The Portuguese populated Galle in the 1500s, constructing a rampart and bastions to defend the peninsula on the northern landside. 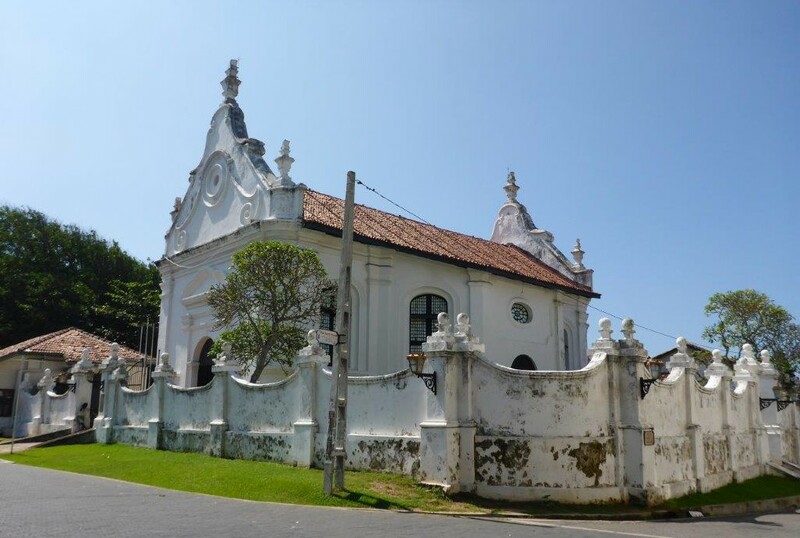 After a bloody battle in 1640, the Dutch took control over Galle. 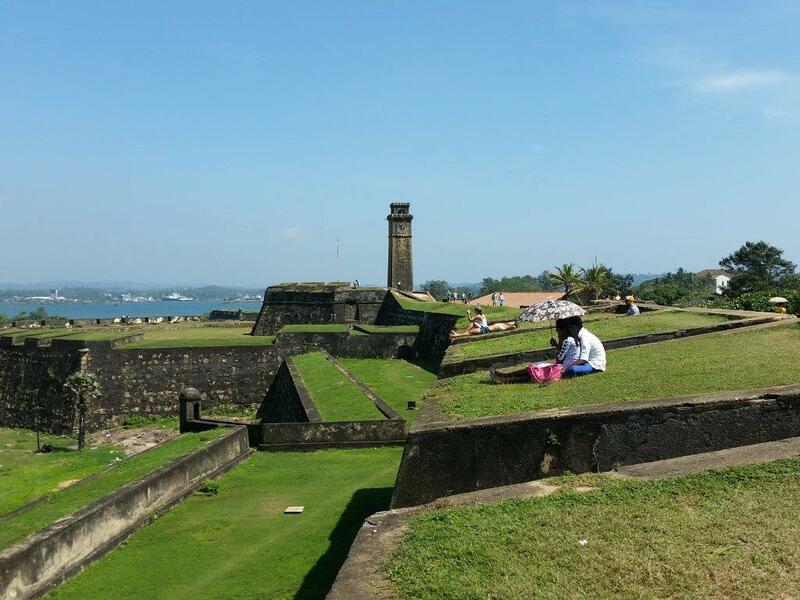 The fortified area was largely extended, and as a considerably part is still intact, it is considered one of the best preserved Dutch forts in Asia. 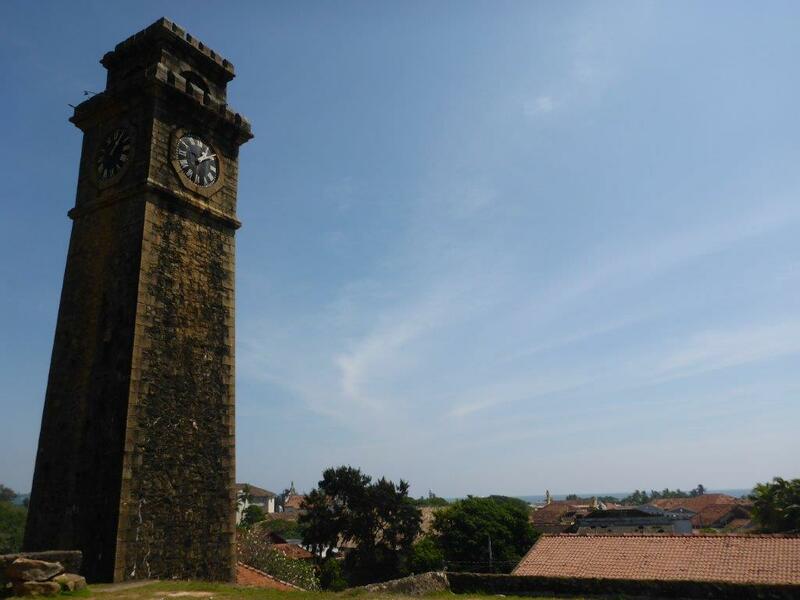 The clock tower in Galle Fort. 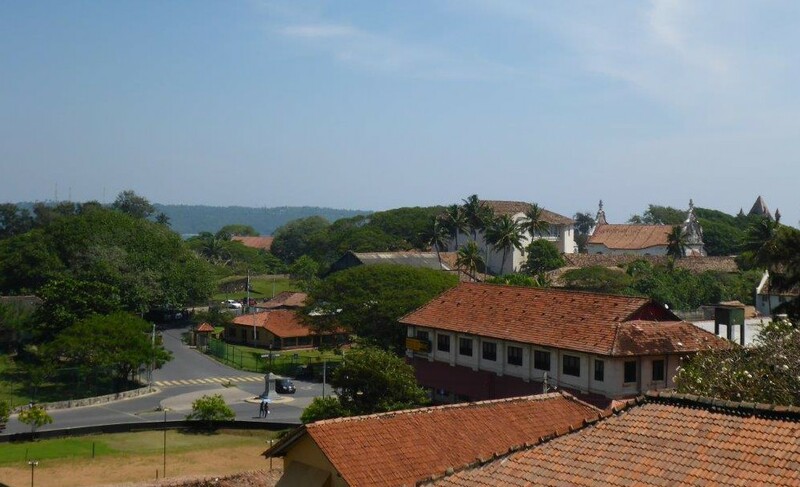 Galle seen from the clock tower. 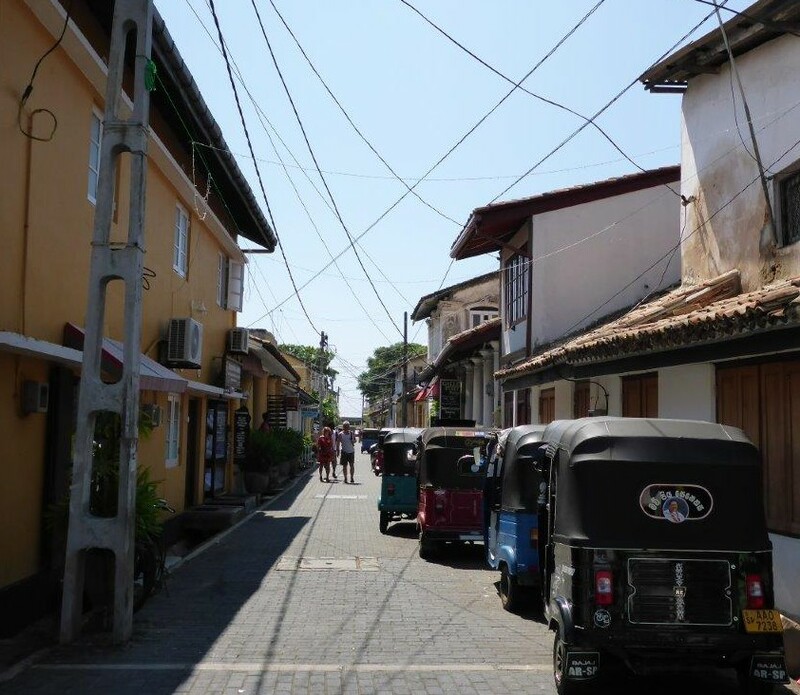 The atmosphere inside the city walls is nice and calm, with small shops and cafes along the paved streets. 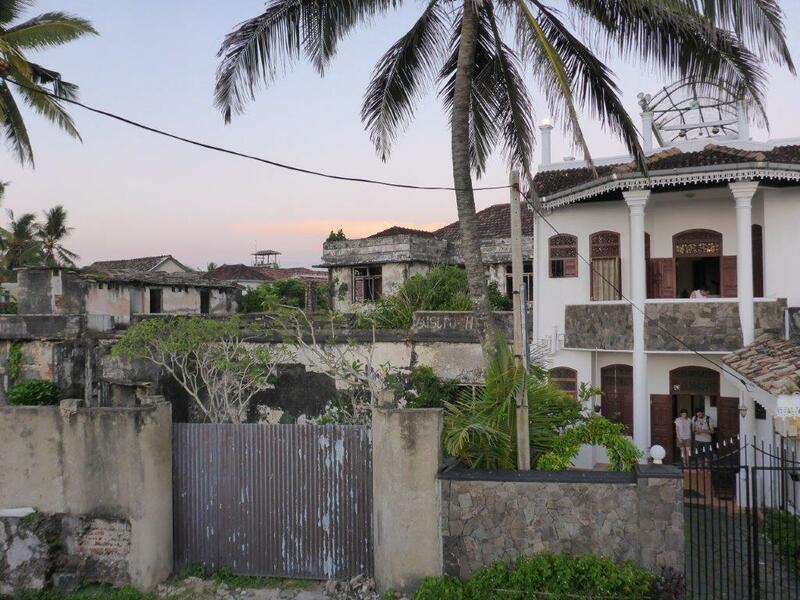 The water surround three sides of the old town, with a public beach on one of them, where many locals enjoy the cooling waves of the ocean, smiling and being happy. 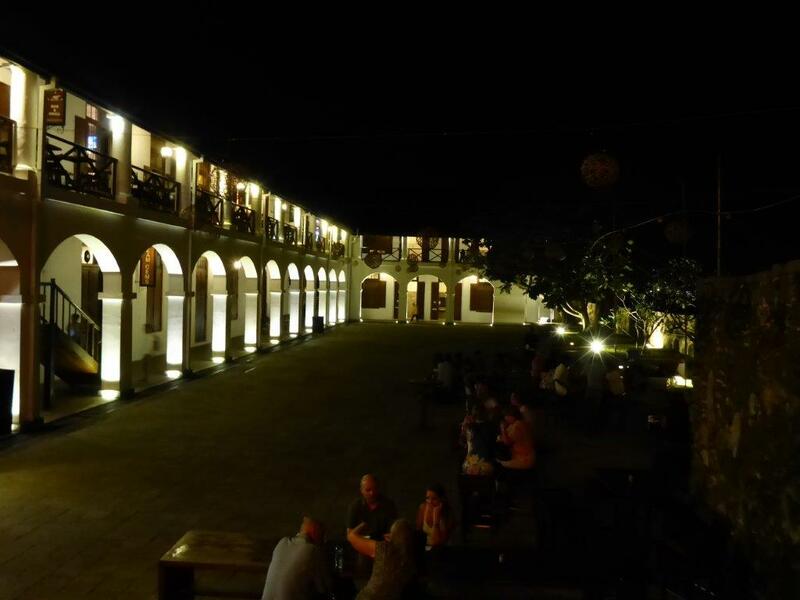 The shopping and restaurant complex Dutch Hospital. 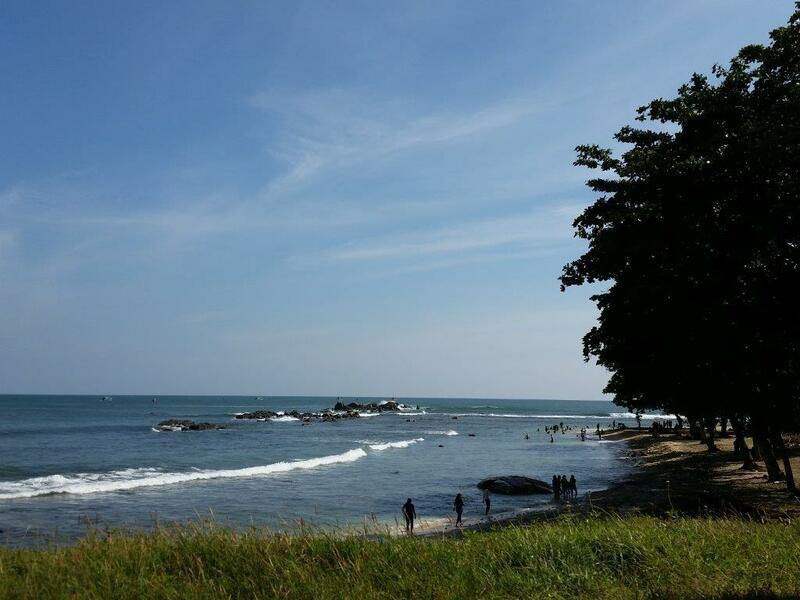 The beach along the east side of Galle fort. 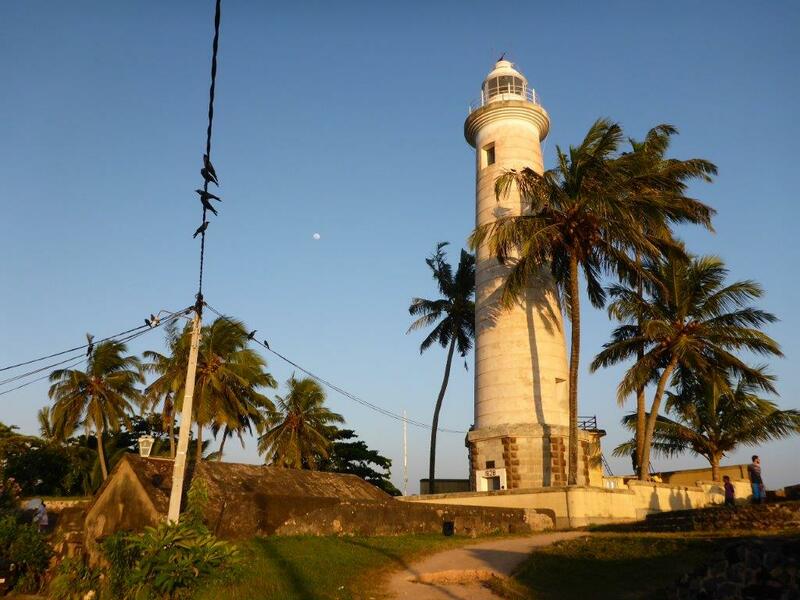 Galle lighthouse is towering 26.5 meters above the southeast corner of the fort, and can be seen from afar. 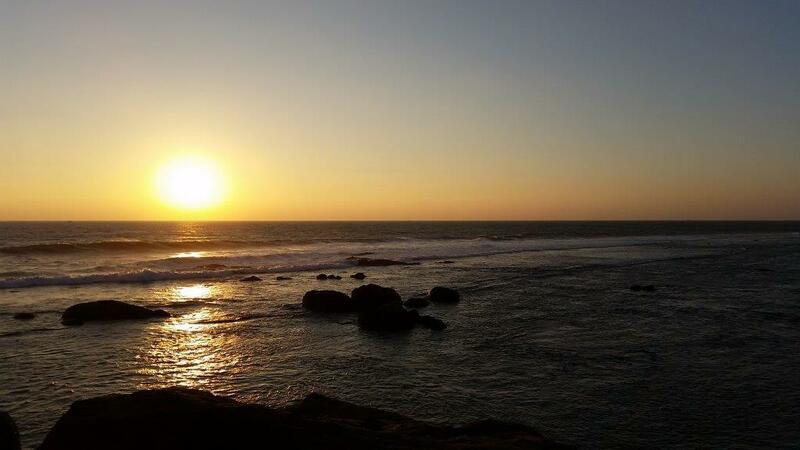 Strolling from here along the rampart is a beautiful walk, especially at sunset. 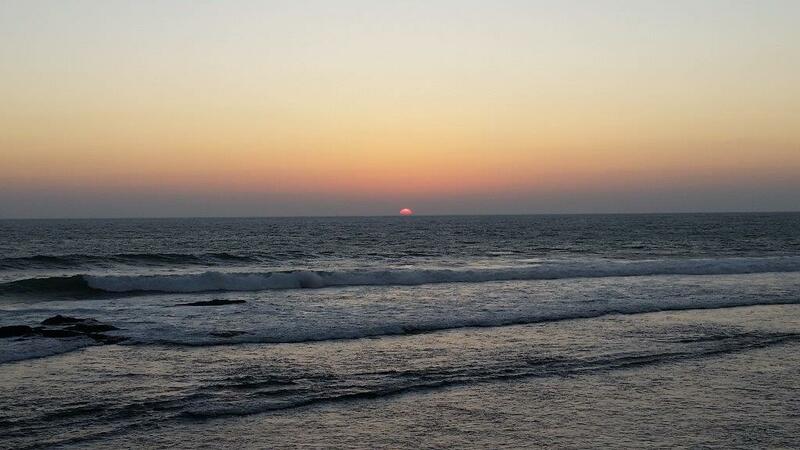 Wandering towards the sun, you end up at the opposite corner, where the sun sets directly in the sea horizon. 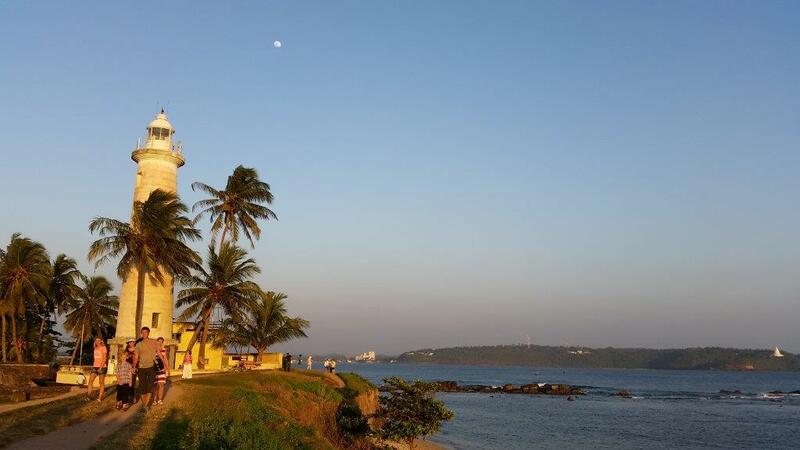 Popular among locals and visitors alike. 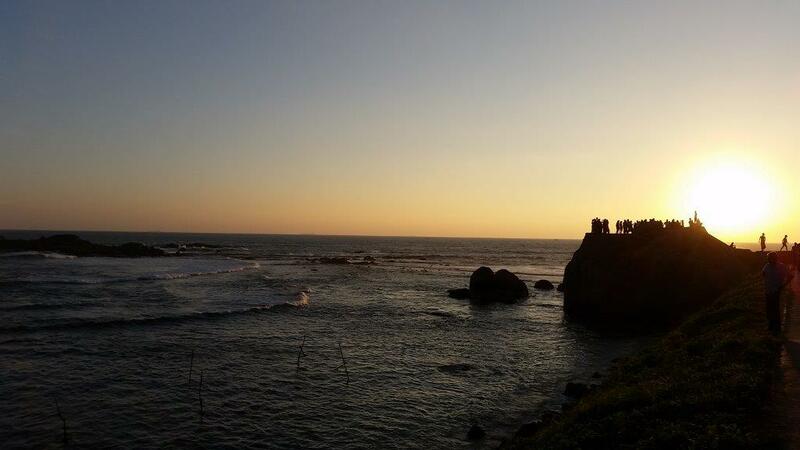 Popular spot to watch the sunset. 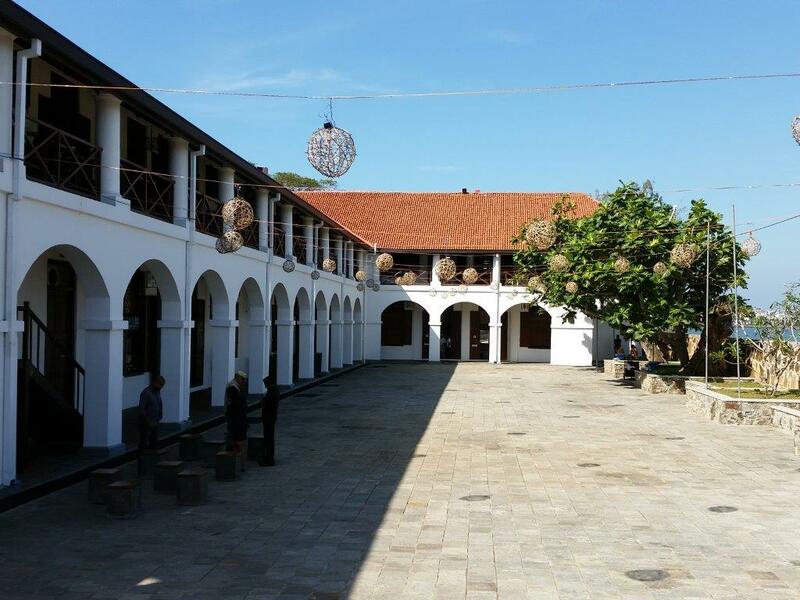 Old and new in Galle. 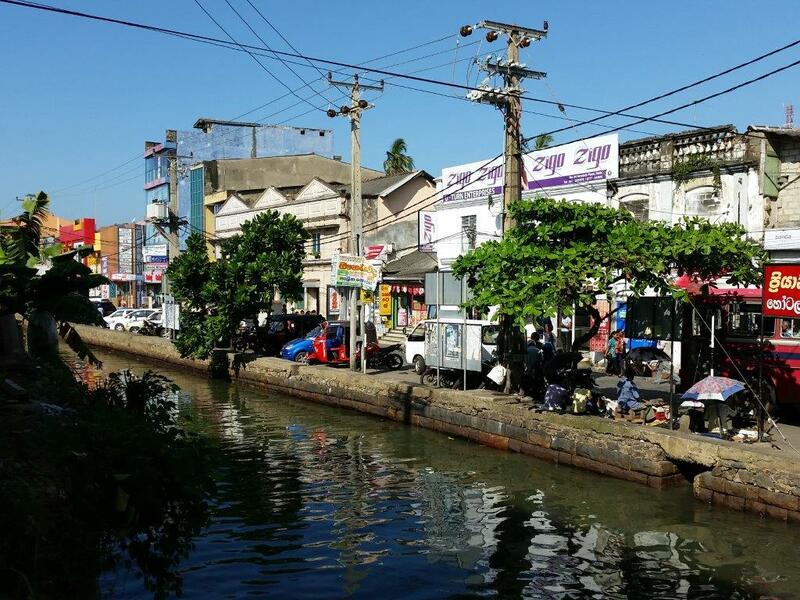 One thing that continued to surprise me was the seemingly small anonymous cafes and restaurants, turning out to have huge backyards, beyond expectations. 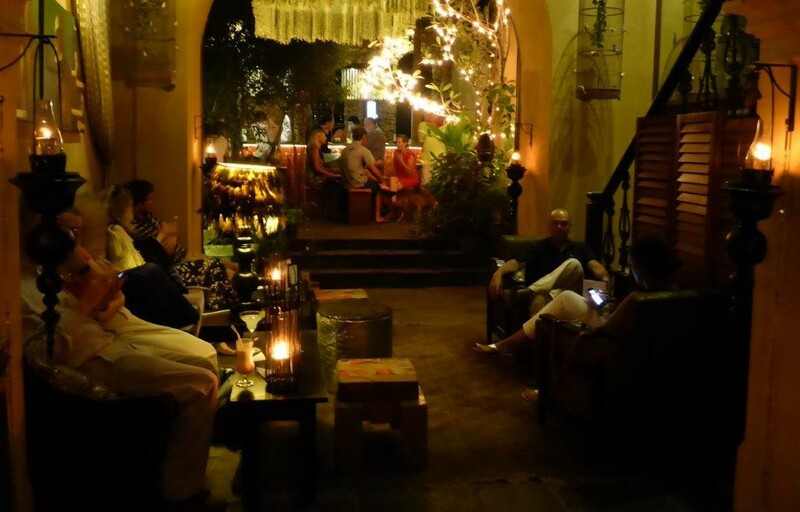 We even entered what seemed to be a clothing shop, ending up in a stylish bar. 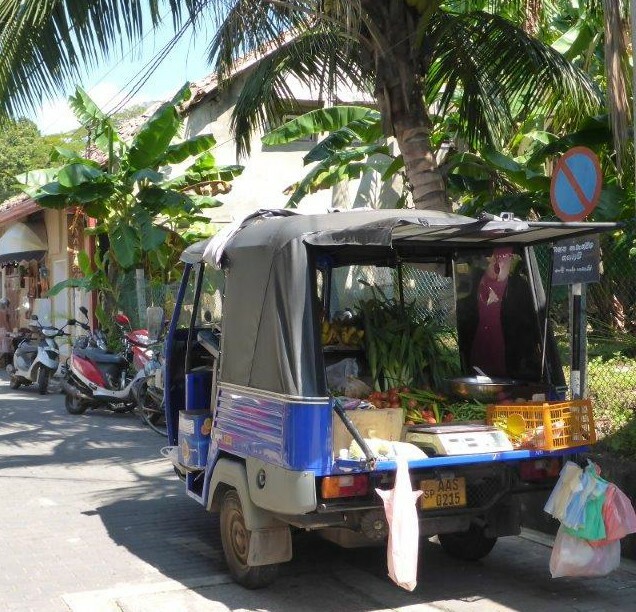 A nice and stylish bar hidden in the back of a clothing shop. 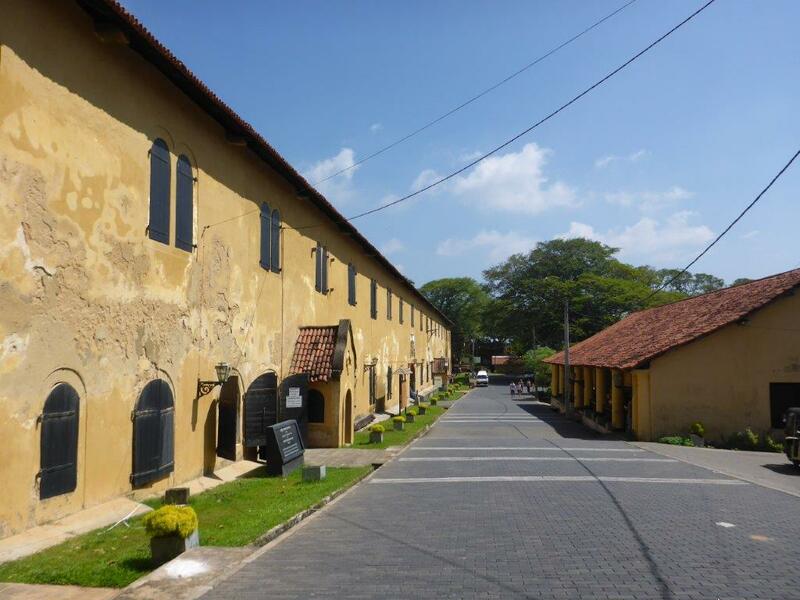 So even though Galle has more than enough to offer from what is obvious, look a little bit further, and you are in for a real treat! 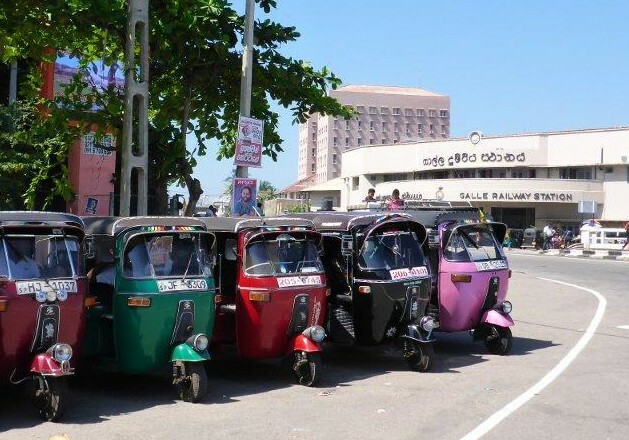 Tuktuks lined up by Galle railway station. 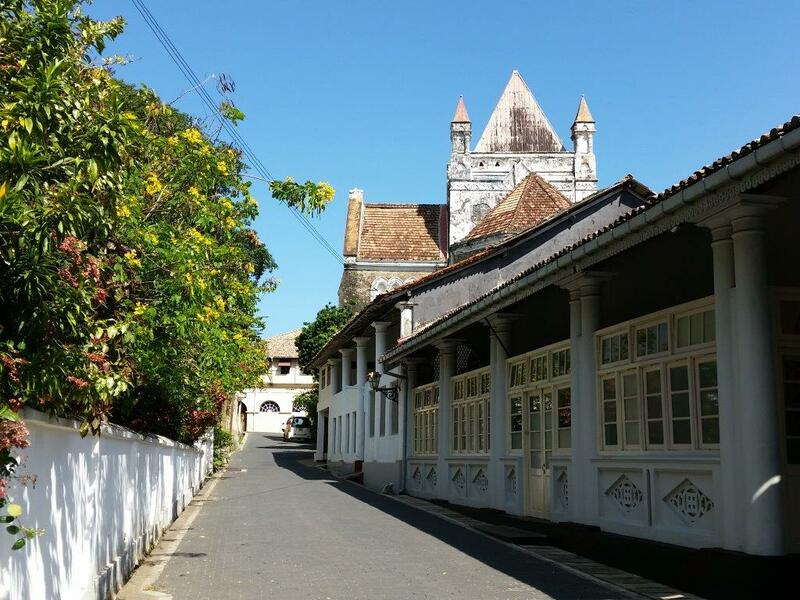 Houses next to Galle railway station. 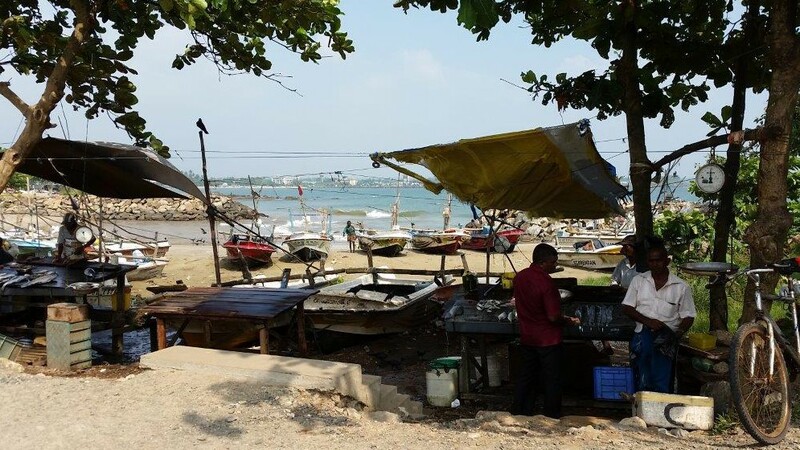 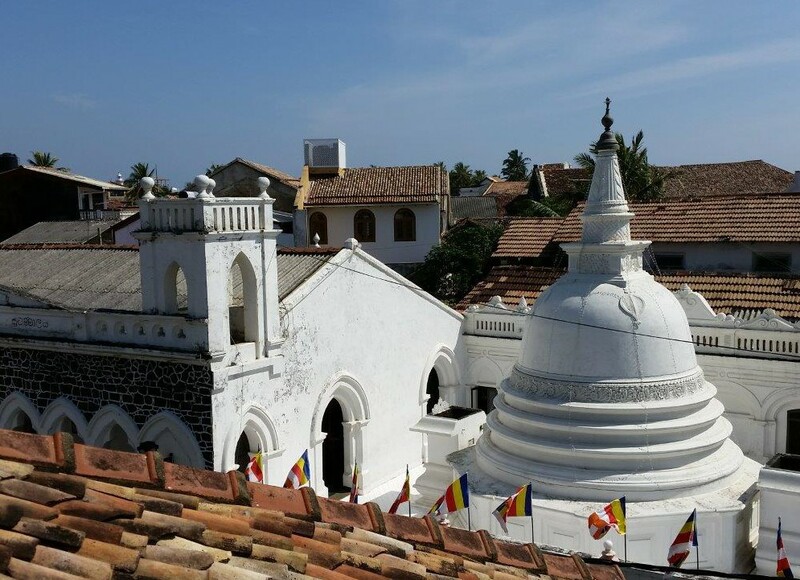 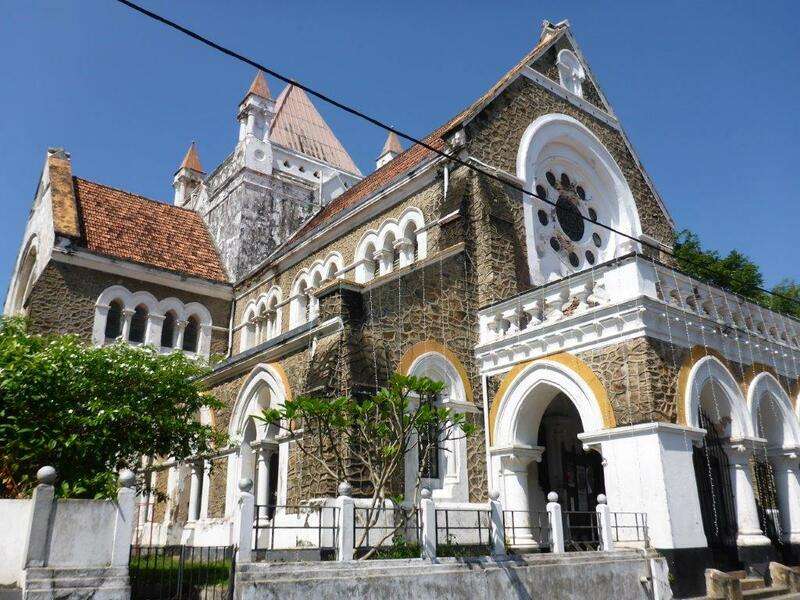 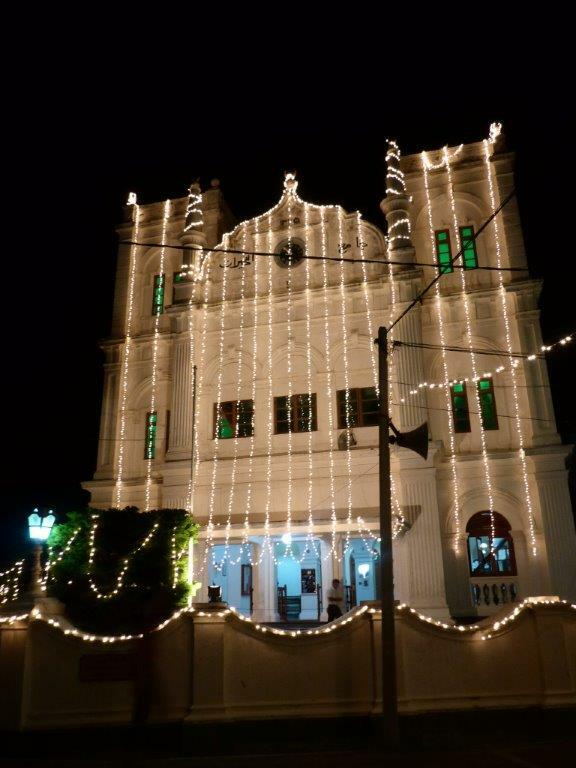 Read more about Galle on the official web site of Sri Lanka Tourism. 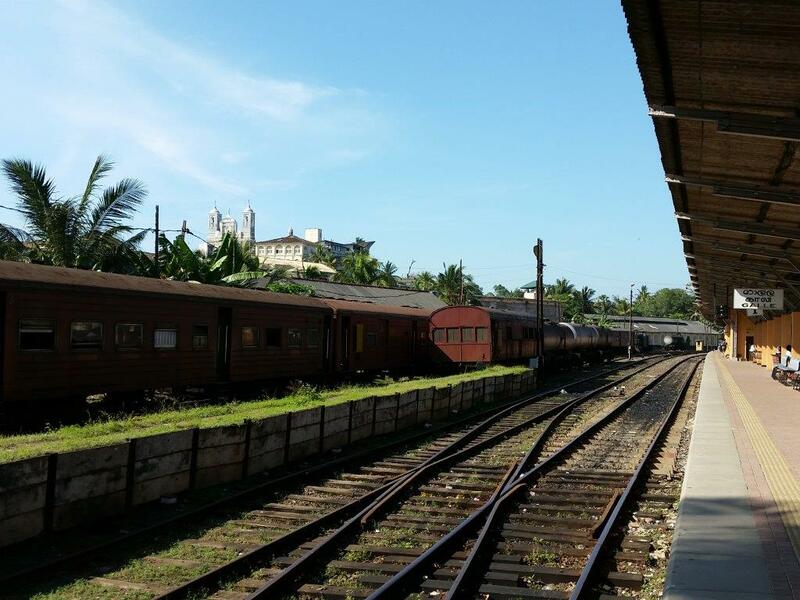 Read my other blog post from Sri Lanka.